Protecting Important Assets of your Growing Business: The Value of Non-Compete Agreements and Trade Secret Protection - Ward and Smith, P.A. You have a great idea for a product or service and dream of putting that idea to work by starting a business. Once your dream has become reality, however, and your business starts to grow, it will not be successful for very long if you don't pay attention to certain fundamental legal protections. Among those protections are simple legal steps that your business can take to protect its employment and customer relationships and trade secrets. As your start-up expands to a mid-sized business, your great product or service becomes only part of the story. Hiring and retaining talented, dedicated, and loyal employees will be vital to both your production and your sales. You will undoubtedly entrust some of your employees with your most confidential business and product information and help them create and sustain valuable relationships with your customers and suppliers. Some of your employees may also become particularly knowledgeable, skilled, and creative. For example, consider how invaluable your sales force will be to your business. Talented salespeople will drive your growth as much as your marketing plan or the quality of your product. You will likely depend upon your sales force to get your quality product or service to your customers for the first time. Just as important, your employees' relationships with knowledgeable and trusted suppliers of raw materials may be indispensable to maintaining your product's consistent quality. Developing all of these employee skills, knowledge, and relationships will involve a great deal of your time, sweat, and more than a little money. It would probably be a blow to your business if your best tradesperson, manager, or head assistant left your business to accept employment with a competitor or start a similar business, using the knowledge and skills learned from you and your operation to compete against you. Likewise, it would also hurt your business if your top salesperson left to work for a competitor and exploit the contacts made and knowledge gained while working for you to take your business's market share away or to disparage your business's reputation. After you spend company time and money developing their knowledge, skills, and relationships, would it really be fair to you for your employees to turn those earned attributes against your business? Imagine your best salesperson strolling into the establishment of one of your customers a few months after leaving your employ eager to convince your hard-earned customer that the product of their new employer, your competitor, is just as good, or better, than yours. Would that be fair to you? So how can you protect your business and your hard work and hard-earned reputation? To avoid these problems, the law does not consider it unreasonable for you to ask your employees for some protection in return for your investment in them. Reasonable non-compete agreements can be enforceable and instrumental in avoiding the problems mentioned above. A non-compete agreement is simply a promise by the employee that during employment, and for a defined period afterwards, the employee will not go to work competing with your business. Likewise, the law of trade secrets can aid you in protecting certain closely held and non-public information used by your business in the delivery of its products and services. In North Carolina, non-compete agreements are allowable and will be enforceable if your employees are required to agree to only those reasonable restrictions on their future employment that are necessary to protect your legitimate business interests. To be enforceable, the restrictions in a non-compete must be reasonable in duration, territory, and scope. Reasonableness will depend on factors specific to your individual business and the duties of the particular employee involved. You will need to take into consideration your method of manufacture, market, range of distribution, and business plan, as well as the particular employee's own specific knowledge, skills, and interactions with your customers or suppliers to craft an enforceable non-compete agreement that will actually serve your legitimate business interests. 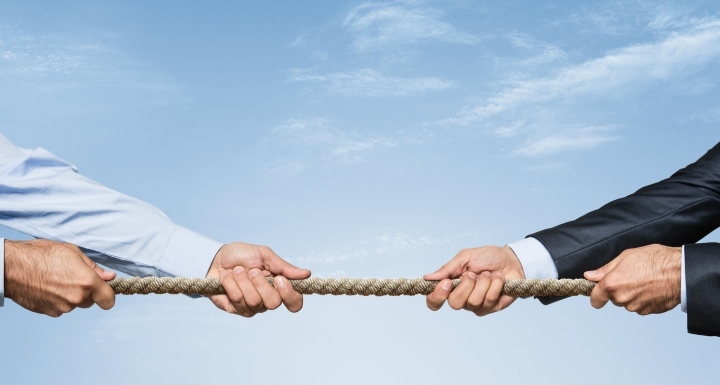 Non-compete agreements should be drafted very carefully because North Carolina courts do not enforce restrictions that are deemed unreasonable for being overly broad. Crafting non-compete restrictions to match the legitimate competitive concerns of your business is critical. Examples of overbreadth, making a non-compete restriction unenforceable, include geographic restrictions that are far beyond the territory where the former business operated or had customers, or restrictions that would prevent an employee from performing any work for a competitor, not just the type of work performed for the former employer. North Carolina courts also will not "rewrite" an overly broad restriction into something that is reasonable. They simply don't enforce such restrictions at all. So if you have a non-compete agreement with restrictions that are overly broad because they are not narrowly tailored to your legitimate business interests, you may find that you have no enforceable non-compete agreement at all. To be enforceable, your non-compete agreement must also be in writing and part of an employment agreement. Additionally, the non-compete agreement must also include a reciprocal benefit for your employee over and above the mere continuation of employment. This means that your employee must enter into the non-compete agreement prior to, or contemporaneous with, being hired, promoted, or granted some other new benefit (such as a raise) in return for the agreement not to compete. An agreement to continue employing the individual without some new benefit is not enough. While you may not have a patentable product or process, or one that is worth the time and money to patent, you probably do have recipes, processes, customer information, or ways of conducting your business that have cost you time, money, and sweat to develop, and that give you a competitive advantage. North Carolina law protects such so-called "trade secrets" from misappropriation by others. All types of business or technical information (including formulas, techniques, methods, patterns, programs, processes, devices, or compilations of information) may be the subject of trade secret protection. "Misappropriation" simply requires that the trade secret was acquired, disclosed, or used by someone who got or took it from you or your business without your consent. Your competitor will be entitled to acquire the same information by independent development or reverse engineering, or from someone else who has the right to disclose it, but will not be entitled to get it from someone to whom you have entrusted it for your benefit. This is so even though you may not have a non-disclosure agreement with the person who wrongfully disclosed or acquired the information. Importantly, to actually protect a trade secret, you or your business, as the "owner" of the trade secret, must be able to prove that steps reasonable under the circumstances were taken to identify the trade secret and maintain its secrecy. A properly designed non-compete agreement, tailored to your business's specific needs, can protect you from a loss of business and costly litigation later on, while also notifying employees, up front, that you expect some measure of loyalty in return for their training. Furthermore, with a plan in place and expectations made clear, valuable business information can be protected as a trade secret.